A human rights group in Yemen says the fighting in the southern city of Taiz amounts to war crimes. Mwatana Organization for Human Rights says in a report Sunday that violations by the warring parties there have killed or wounded hundreds of civilians. The fighting over Taiz, Yemen's third largest city, is part of an ongoing civil war pitting the Saudi-backed government against Shiite Houthi rebels and security forces loyal to a former president. 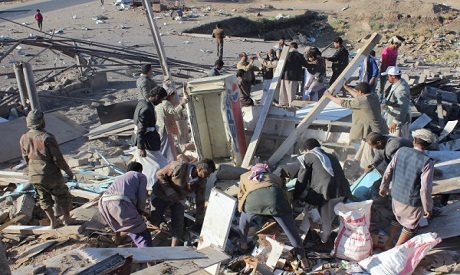 A Saudi-led coalition has been bombing the Houthis and their allies since March 2015. The Houthis have besieged Taiz since March. Taiz residents say more than 1,600 civilians have been killed. The rights group's head, Radhya al-Mutawakel, said the violations in Taiz "amount to war crimes."